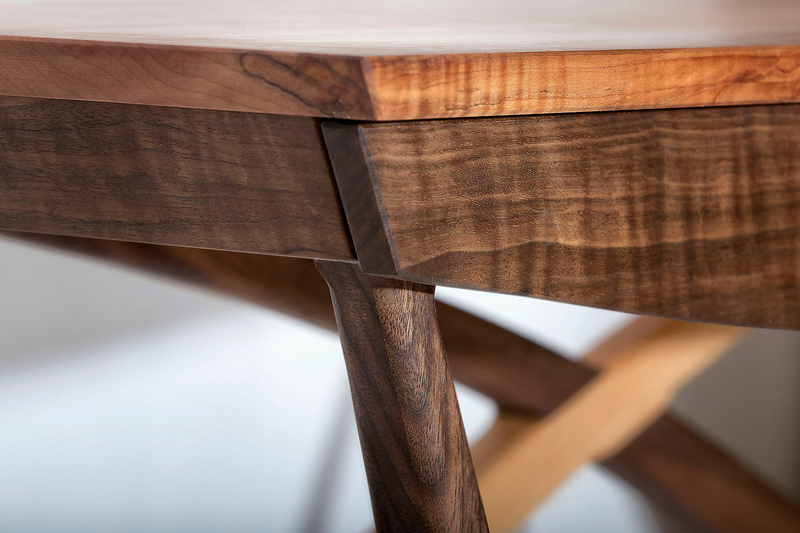 This Hallway Table in Maple and Walnut table merges opposites in harmony as if two parts, the maple part on the right and the walnut part on the left slide into each other, each one on its own unstable but together solid, balanced and complementing each other. 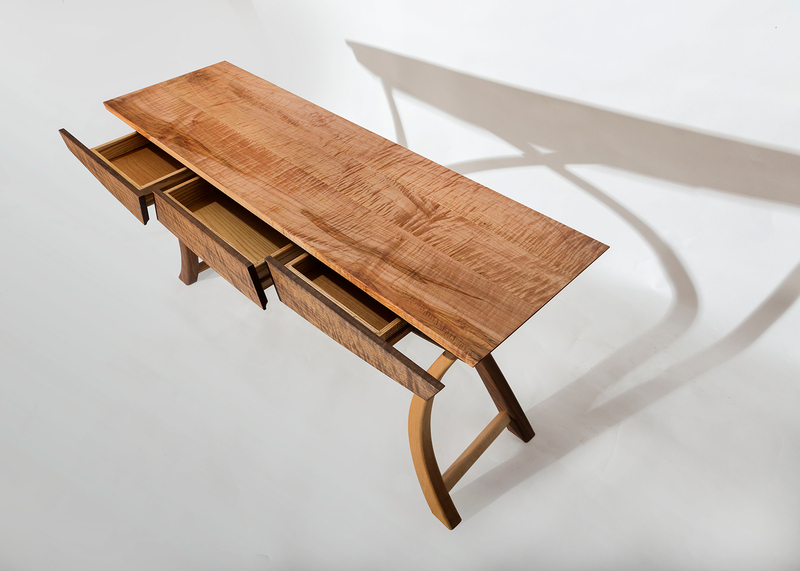 The combination of the walnut and maple woods is meant to give the observer the impression as if two units were merged into each other creating a harmonious unison. 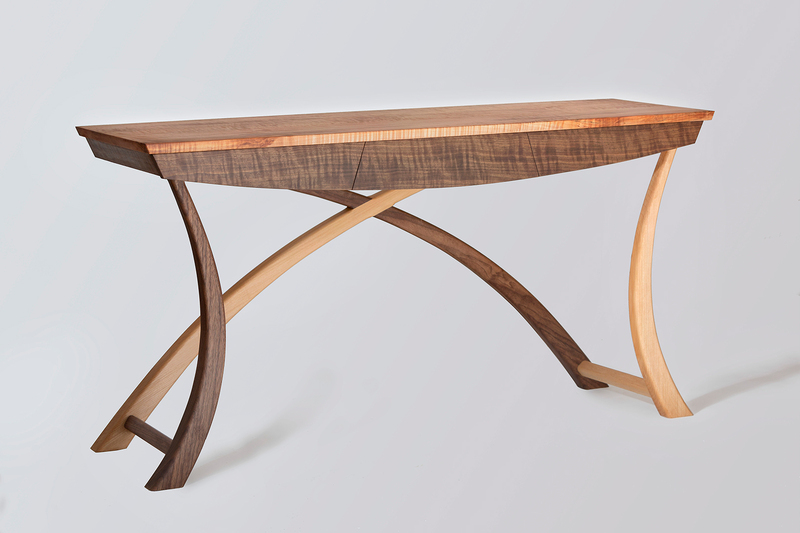 The table measures 52” by 16” with a height of 27”. 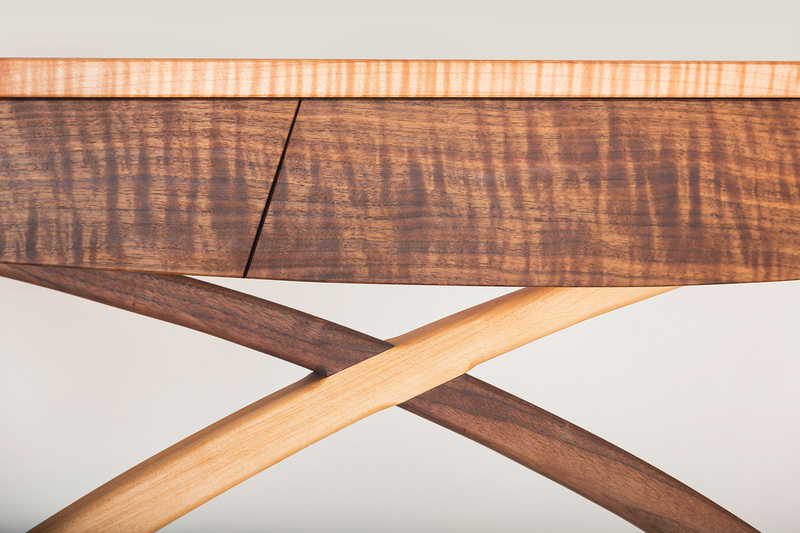 The drawers are solid ash and ride smoothly on waxed surfaces. Great wedding gift.